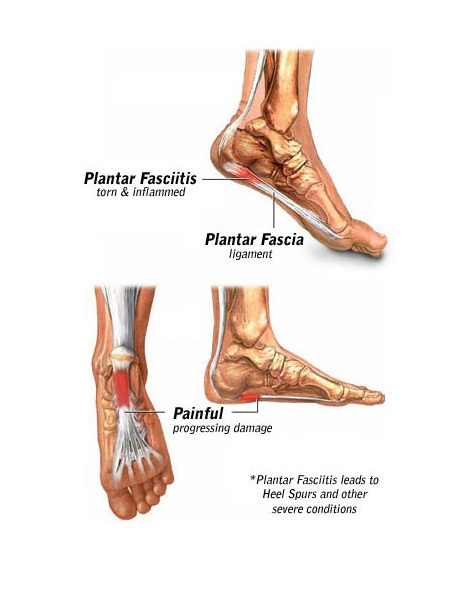 Plantar fasciitis is one of the most common causes of pain in your heels. It’s also a pain to pronounce — “PLAN-ter fash-ee-EYE-tus” doesn’t exactly roll off the tongue. Your plantar fascia is the thick, flat tissue that connects your heel to your toes. Like a ligament, it’s normally flexible but inelastic. Your plantar fascia keeps tension in your foot, allowing you to bend or wiggle your toes. It also provides arch support to the center of your foot. Plantar fasciitis is a painful condition that’s especially common as you enter your middle years, although it also can occur in younger people who are extremely active. New York podiatrists also see the condition in those who spend a lot of time on their feet for prolonged periods of time. This includes waiters, athletes, store clerks, factory workers and soldiers. New York City podiatrists report that the most common cause of plantar fasciitis is wear and tear. Aging and repetitive activities increase your chances of developing this condition. Some rare cases are the result of single injuries to your foot. When you walk, the tissue stretches when your foot hits the ground. The fascia can become stressed by the way you walk, becoming weak, swollen or painful over time. Weight and pressure of any sort aggravates the condition. The bottom of your foot or heel then hurts whenever you stand or walk. If you feel heel pain and suspect plantar fasciitis, seek a confirming diagnosis and appropriate treatment from a best rated NYC podiatrist. If you suffer from this condition, you feel pain as soon as you get out of bed or sit for a long period of time. Usually the pain and stiffness lessens after you take a few steps. But it’s possible that your foot may become increasingly more painful as the day goes on. Standing still and climbing stairs can be particularly unpleasant activities. If your feet hurt at night, however, it may be a sign of another problem, like arthritis or a nerve problem such as tarsal tunnel syndrome. To diagnosis this ailment, your New York podiatrist asks you a series of questions about your symptoms and medical history. A best rated NYC podiatrist performs a series of physical exams that primarily involve watching you while you stand and walk. Imaging tests, such as X-rays, aren’t helpful when trying to determine the condition of your ligaments. However, X-rays may be used to eliminate the possibility of stress fractures, bone cysts or other related foot or ankle problems. If you find heel spurs, that doesn’t necessarily mean you have plantar fasciitis. Tests done in rare cases include MRI, blood work, bone scans and vascular tests. These may be necessary to evaluate blood flow to your feet and legs. Your Manhattan podiatrist may even order a series of neurological tests to rule out nerve entrapment. Take it easy! Cutting back on activities that require you to be on your feet is a definite step in the right direction. If you find you’re in pain, Dr. Sophia Solomon, a best rated NYC podiatrist may advise you to treat your foot with ice. Keep your heel elevated. Yoga for your toes and calves may help alleviate your discomfort. Stretch several times a day, beginning in the morning. Roll a towel, step on it with the ball of your foot and pull on both ends equally with your hands. Always remember that comfortable shoes are your greatest asset in treating and/or preventing painful foot conditions. Orthotics (custom shoe inserts) are available through your New York City podiatrist. Never be afraid to discuss any issues with a top rated New York podiatrist, Dr. Sophia Solomon; your problems are a lot more common than you realize. If simple preventive measures or less invasive treatments don’t improve your pain, your New York podiatrist can suggest splints that you wear at night. Your NYC foot doctor can recommend medicine to relieve the pain and inflammation caused by plantar fasciitis. While drug treatment doesn’t cure your condition, reducing your pain and discomfort improves your ability to follow other prescribed treatment steps. Other possible treatments include corticosteroid shots in your heel. Plantar fasciitis surgery is usually the last option. Normally, your foot doctor won’t even suggest surgery as a possibility unless your case is extreme or you’ve been living in pain for six months to a year. Surgery is only performed on about five out of every 100 people suffering from plantar fasciitis. Plantar fascia release: This procedure involves cutting the ligament to relieve the tension and inflammation. Other surgery: Sometimes, other operations are done along with the plantar fascia release. These can include removing heel spurs, as well as loosening or stretching specific foot nerves. Plantar fasciitis accompanies injuries that have occurred gradually, over the course of time. Your podiatrist can help you experience less pain in as little as a few weeks. And as with most illnesses, the sooner you visit a podiatrist in New York CIty, the better chance you have of stopping continued wear on your heels. It may take months or years for your pain to dissipate completely, but only by following the instructions of your podiatrist in NYC can you get to the end of that tunnel. Despite the pain you feel now, it’s possible to achieve lasting relief. Contact a podiatrist to start on the path to recovery. 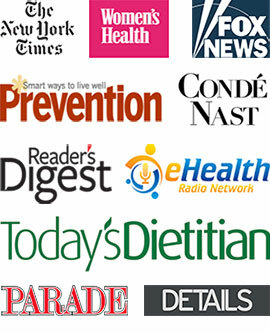 Do you have any questions about Plantar Fasciitis treatment in NYC? Would like to schedule an appointment with an internationally recognized, top NYC Podiatrist and foot doctor, Dr. Sophia Solomon of Manhattan Foot Specialists, please contact our office for consultation.